Two weeks ago i started a first experiment with translating strange articles by Google (see here). The Fog is all symbolize the cloud around. It is all about the primary processing of data close to the data encoder, such as in the car or in the refrigerator before it is to be forwarded to cloud services. 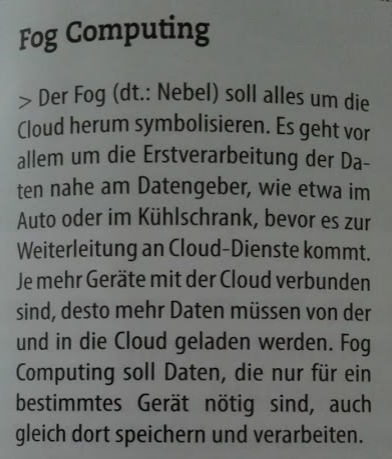 The more devices are connected to the cloud, the more data must be downloaded from and to the cloud. 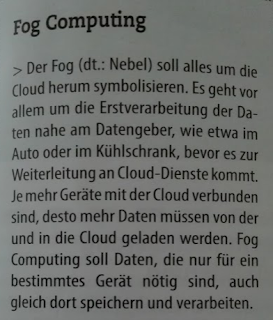 Fog Computing to store data that are needed for a specific device right there too and process.